What’s up with the trays? 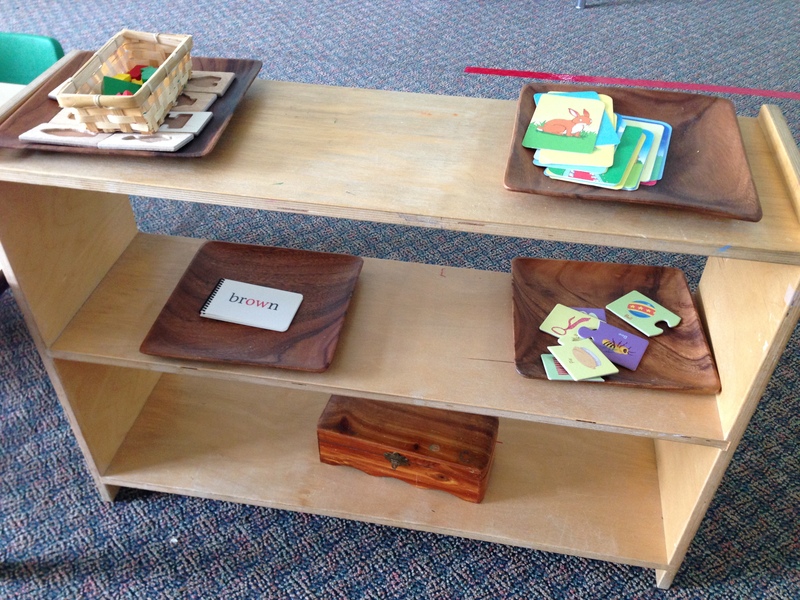 The first thing you will probably notice about a Montessori-inspired home or Montessori classroom is the TRAYS. 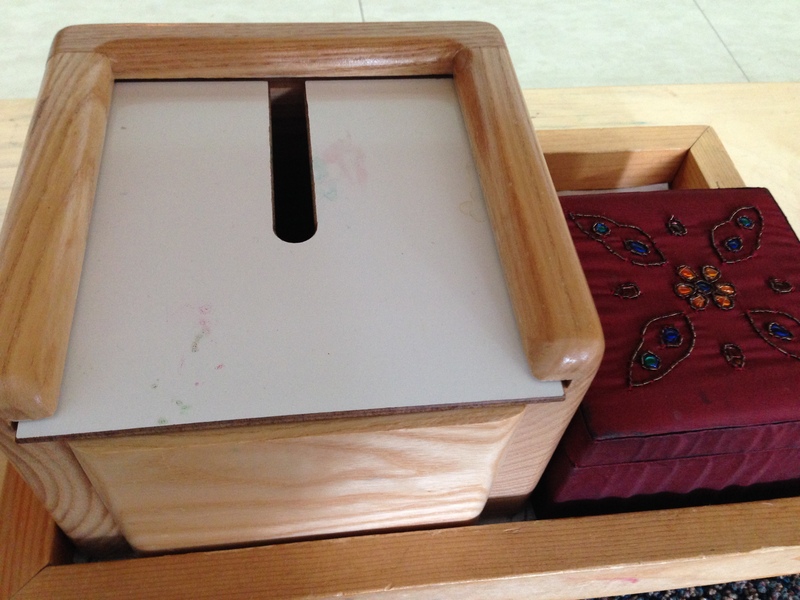 In our home, I use whatever is available – wooden trays, wooden bowls, woven baskets, plastics serving dishes, etc – usually picked up at a consignment shop like Goodwill. 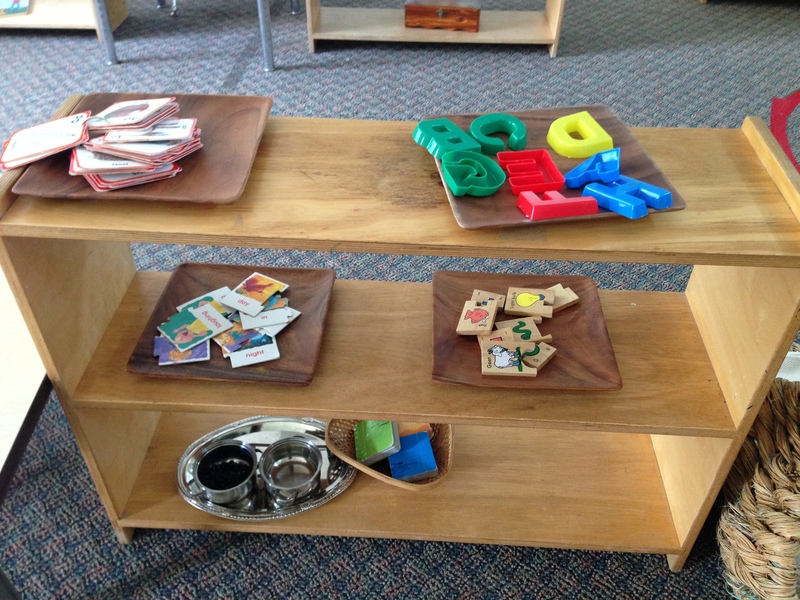 I didn’t really understand the purpose of the trays until my three-year old had friends over who pulled everything off our shelves and threw things on the floor. We actually didn’t mind but Boaz busily put everything back into their correct places. Order and placement is ingrained into his habits and nature. His learning experience begins when he enters the room. How are things organized? How are they grouped together? 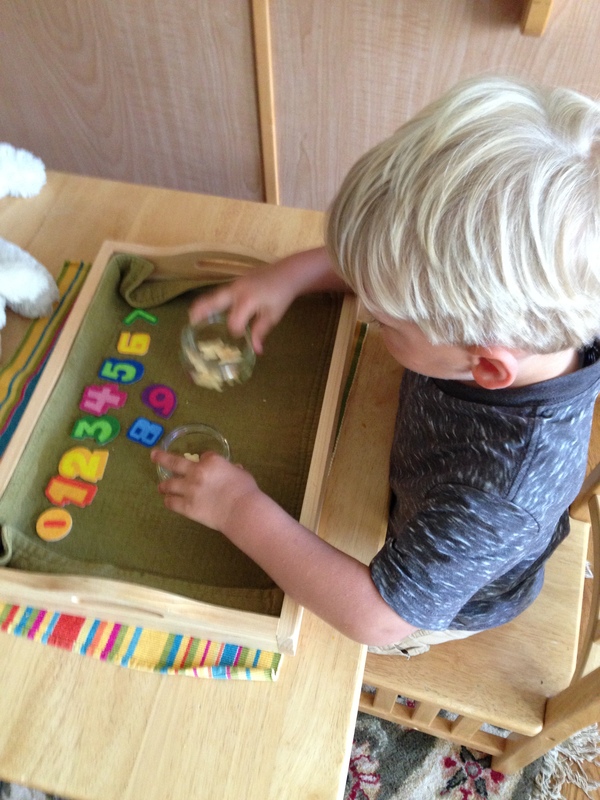 The next challenge – can he pick up the tray with the activity and carry to his table or the floor to play? This requires balance, coordination, and focus. When he’s done, can he put it back without dropping it before getting a new activity? Again – focus, attention, patience. Don’t give up before they start! At first, they may throw things on the floor. After awhile they understand the process. 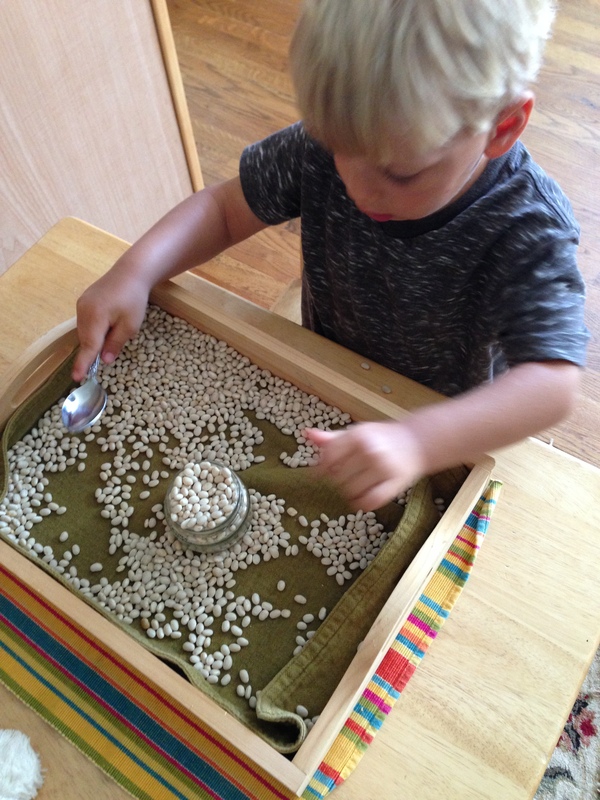 And this process – organizing toys and activities on shelves with trays or other containers – makes clean up quicker! 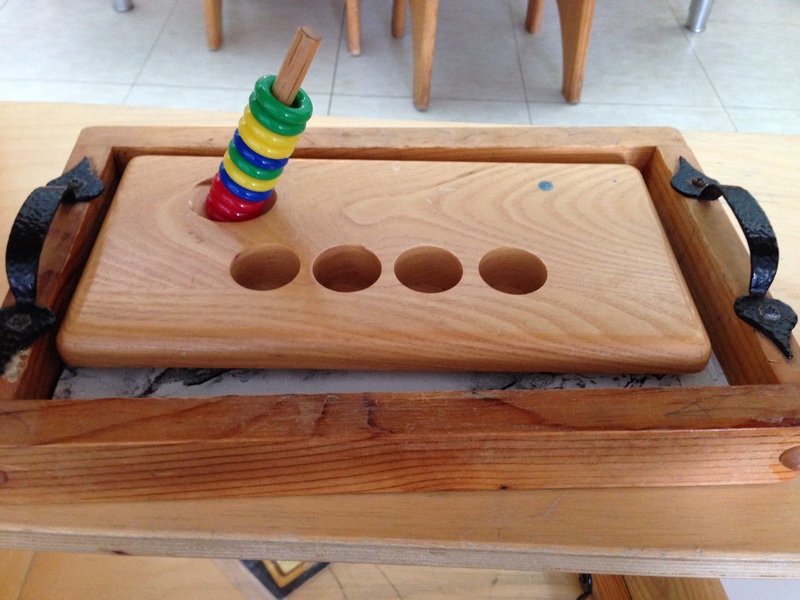 It also promotes continual learning development from the minute they enter the room. 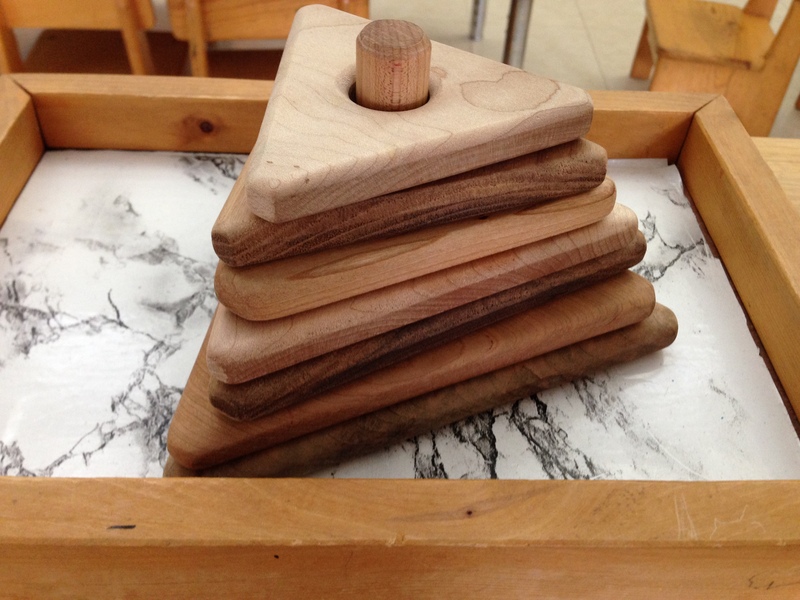 That’s why we love Montessori trays! Categories: Toddler, Uncategorized | Tags: activities, balance, coordination, homeschool, kids, Montessori, organization, patience, playroom, shelf work, shelves, Toddler, toys, trays | Permalink.